Are you being a bully to yourself? Do you feel like a victim? I am here to make a difference! If you have been following me you know I am on a journey. My journey to being self employed also allows me to pass my gifts to a much larger number of people than I ever could working as a therapist. What started out as a journey for me has turned into a movement to eradicate self esteem problems! If you feel stuck do to fear you are in the right place. My goal is to get you moving. Even a small amount of movement forward can make you feel fabulous! The cool thing is once the ball starts rolling momentum takes over and what seemed like a dream can become a reality sometimes over night! One of the things that Facebook has done recently is that they want to make sure a business provides relevant information to the customer. From this I have been on a mission to find out what you want and provide that content to you. What I have come to find out is that the best way to do that is to provide you with content that means something to me because I am you! Yes I am just like you and my goal is to get you to stop being complacent with the status quo and actively make shifts that will move you out of fear and build momentum for you to create any future you want! Did you know you have a choice about your future? Did you know you are not destined to be where you are right now mentally or physically forever? I didn't know it at the beginning. If you do know this already you are way ahead of many other people including myself prior to beginning my journey to be a coach. Fear kept me stuck in the same place for many years. Have you ever heard the definition of insanity? The definition is doing the same thing over and over and expecting things to be different. I did this for many years in my relationships and in my professional life. Do you want to know what got me unstuck? Learning how to control my fear and use it as a motivator to get out of complacency! 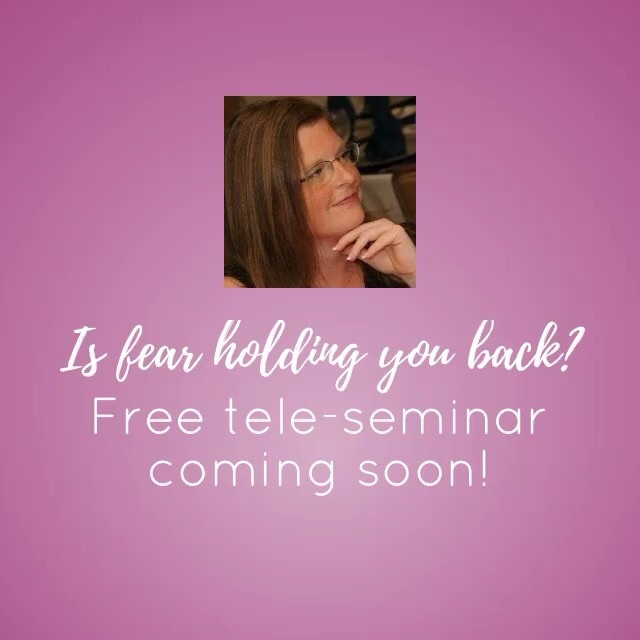 My new program From Fear to Fabulous is a direct result of me making sure I know what kind of content you want and bringing it to you regularly. I hear the pain from being stuck and unable to move out of your current reality! This pain comes directly from fear which if used properly can fuel your journey to momentum as you begin to create the future you want! What does loneliness mean to you? It's a simple question that seems easy to answer but did you know that loneliness is different for different people? For me loneliness happens when I allow myself to isolate from others for long periods of time. Yes I am an introvert! What does that mean exactly? That means that I can be alone for long periods of time without a single twinge of loneliness. When I am by myself I recharge my batteries. If I know I will be going to a function with a lot of people I have to mentally prepare myself to engage in conversation or small talk. I feel emotionally drained at the end and must recharge which comes by solitude. To some of you this may sound backwards. My loneliness comes from my own desire to isolate and not engage in friendships or make excuses to not go to social functions because it is easier. I have learned that I am the only one who can break that cycle and here is what has worked for me. I ask myself what I want when it comes to relationships? Do I want a significant other in my life? Do I want to have long term friendships? Do I want close relationships with family? If the answer is yes to any of these questions then I go to the next question. What am I willing to do to make this happen? Is this relationship important enough to me to make the effort to get out of my comfort zone to make it work? Am I expecting others to come to me and not making an effort to go to them? How can I get past my fear of getting out there? What can I do to expand my ability to sustain relationships? This is where the real miracle comes! I become willing to seek outside help so that I can create long lasting relationships! I have worked for years as a therapist and helped others identify this as the problem. It was not until I got into coaching that I found a real solution! The solution comes in the form of processes that helped me to expand my mind and willingness to identify what I want. I then allow the Universe to give me exactly what I ask for when I become willing to look at the part my own thinking comes in creating my own reality. I have to make the decision to make my life better! As you may or may not know I recently became engaged after years of dead end relationships. I am convinced that the Universe brought him to me only when I was ready to do the work needed to help the relationship expand. We met just prior to me taking the step to become a certified coach. I was able to attract a healthy long term partnership after being single for 15 years. (For info on my first marriage and how I was effected look at the three blog posts "My loved one is addicted") . I am beginning to realise that in my desire to become a coach what I am really doing is starting a movement to help others that want to make a shift learn how to go about it. If any of this resonates with you please leave a comment or share with your friends. The answer to all the questions around loneliness for the introvert has an answer. In my next blog I will do my best to look at loneliness for the extrovert. This is much more difficult because I have never personally experienced this but don't fret extroverts I will be gaining insight on this from other coaches and bring you answers next month! I am telling my story and would love to know yours! Don't let another minute go by feeling lonely!! I know it's been a while. A lot has happened since my last post. I have gotten engaged after over ten years of being single. My oldest daughter has moved back in with me for the first time since she was 17 (she is now 21). If you read my last post this is no small thing. My youngest daughter is navigating middle school and we are all living happily ever after under one roof! Well okay you got me that is not entirely true. Addiction has effected us all profoundly. In March of 2014 the children's father passed away of ongoing heart problems one month shy of his 51st birthday. I am happy to say he was sober when he died other than the medications prescribed to keep him comfortable in his last days. Now that the addict/alcoholic is gone is help really necessary for the family? I am at a crossroads in my life right now. I took the bold move to obtain a coaching certification from October 2014 to November 2015 when I was finally certified. I have manifested a position at my day job which I love and was at a point of burnout when I started the coaching program. Being in the spotlight is not easy for me so marketing my business has been a challenge. I have committed to a lifetime with the love of my life which has also been through the power of manifestation. Prior to that I was in one dead end relationship after another. I am watching my children who continue to grieve the loss of their father navigate life and decide on their own paths and realising I can only provide support and encouragement. I can't fix the pain or loss that they feel but I can provide them with ongoing help and support through outside resources. So now where do I start to make sense of my life and have the strength to be there emotionally and mentally for my kids so they can grow into responsible adults? Everyone needs help finding their way especially when life seems to go so far off course. It serves no purpose to blame any one action or inaction from myself or the addicted loved one for my circumstance. I have learned that I am the creator of my own future and for my children to have a chance at stability and happiness I need to create the best future for myself that I can. Here are the steps I am taking to manifest my perfect life! 1. Gain clarity in the life I want to create. Why is clarity important? Manifesting is impossible when I am not clear on what I want. I will use my relationships for an example. In the past I knew I was looking for a lifetime partner but due to the pain and hurt I have experienced I was always looking for what I didn't want in a relationship rather than what I did want. In other words I was attracting people through a negative energy which kept me feeling like every relationship lacked something I needed. Living in lack created the space for fear and doubt to creep in which is no good for finding a life partner. It was not until I used the knowledge of what I didn't want to identify what I did want did my love life begin to turn around. Gaining clarity is essential and the coaching I got and coaching tools I learned allowed me to find that clarity. 2. Why do I want to create this life? Why is it important to know why? It is only when I found out why I wanted to create this new life did things start to change for me. For me my why is creating stability for my future, becoming able to fully support my children financially without the help of my parents and to be able to spend my retirement comfortably with the ability to travel. I have to be fully invested in the why before manifestation can take place. I have to feel in line with the direction I am taking to make things work. When that is present the knowledge that the Universe will support me in manifesting my vision is so comforting!! I really just have to take the roads presented to me and at times take a leap of faith that this road is right. My primary example of this is the money I spent to become certified as a coach. I felt called to coaching like someone who is called to the ministry. The financial leap taken by this single parent was no small one. I had a little money that I wanted to invest and I thought what better way to invest than in myself. The expense also kept me focused to complete all assignments in a timely manner to achieve my goal of certified coach. All I can say is that I have already gotten my money's worth in the things I have been able to manifest so far that whether I become a full time coach or not (I am a part time coach right now and don't have the why yet to quit my job and make the leap to full time) I am so grateful for the experiences and the learning. 3. How will living this life make me feel? The Universe and the Law of Attraction works not by what I think but how I feel. If I am living in fear and lack I will continue to manifest fear and lack. I have learned that to create the life I want I need a baseline feeling that I already have what I want to create. This is the part that requires so much help from a coach or a support group or both because those of us who have been touched by addiction are negatively charged at baseline. I could think of the most negative outcome for a certain problem and obsess about it for days or weeks prior to becoming involved in the family support groups that I still attend today. By the time I went into the coaching program I was aware of terms like detachment and letting go but it was not until I went through my certification program that I saw how these things were related to the Univesal Laws and how these laws worked within the steps to help people become sober and family members become sain. Truly all spiritual practices are in tune with the Universe and our vision of a higher power that brings calm to the storm and helps our thinking to become more positive. When utilising all supports at my disposal I began to feel that I had the security all along (think Dorothy there's no place like home). When I feel happy and secure I begin to manifest from that place and things begin to happen as if by magic! My story is by no means over. My life continues to produce miracles including my oldest choosing to live with me again while she goes to school. I am not looking for perfection but a sense of peace and serenity that to me makes my life feel perfect. With that in mind I have created my first products just for you. Creating the perfect life is within your grasp as it is mine. I have been where you are and want to be there to help you quiet the storm. Your first session is always at my expense. Is creating your perfect life something you strive for? Please contact me for your first clarity session to see if we connect. We don't need perfect lives to create the feelings of perfection. We only need guidance, willingness and the ability to take a leap of faith!! I have found that and so can you. Pictured here are my niece, Cassie, my oldest Shelby, my youngest Sarah and my sister Lisa. This was taken at Universal Studios last Christmas. No perfect pictures here but cherishing the memories!! Will you let me help you find your perfect life? Contact me to start now!! I was asked a question on my Facebook page the other day. I was expressing gratitude for my recent certification as a law of attraction coach. I was sharing my win as we were taught in class. Among the congrats by those on my Facebook page came the question "so what does that mean for me?" Hmm I was so busy feeling gratitude that the question took me back. I replied with the fact that after a year of skills training I would be able to share with my client's amazing processes which would help them shift to a better place. I also shared that a personal win no matter how big or small is something to be celebrated. She boasted that she had "great self esteem" and that she felt no need to share her wins with "total strangers". "That is why I have real friends." I must confess that my first thought was "if you don't like it get off my post". I have learned over the years to act and not react. I began thinking to myself what was it about having a negative interaction that touched me so? I have come to the conclusion that in my desire to help others what I do is not for everyone. That is okay too. I don't have to feel personally slighted if someone disagrees. I then began thinking globally about self esteem and feeling attacked when others don't agree with me. How many times have you had what you thought was a great idea only to have someone close to you or a total stranger come at you with negativity? I must admit dealing with others negativity about my actions has never been easy for me. I always felt personally attacked even if they were trying to be professional (I do have a day job). I know within myself that self esteem has always been an issue. It evolved from weight issues as a child to relationship issues as an adult. The one common thread is much of the time I did not feel good enough for success in all areas so I settled for what I thought I could get. With that I was always waiting for the other shoe to drop. It was not until I began to learn to look for what was "right" in my life rather than what was "wrong" did I start to have courage to try new things. The incident the other day,however, reminds me that I am still human. Inside that little girl with low self esteem still runs around and I will be triggered when someone criticizes what I am doing. I know now that it takes discipline and understanding within myself to keep her feeling comforted. The bottom line is that 100% of people are not going to agree all the time with what I am doing. My three choices are to take their comments as a personal assault and crawl in a hole. I could take it as a declaration of war and become angry and destructive to myself and others or I can take it for what it is. Not all people will agree with me and my choices. I don't have to let that little girl inside feel she is "not good enough" when others have their own opinions. Why self esteem as a niche? Well I believe strongly that how we feel about ourselves can sabotage anything that we want to be successful at. This includes jobs, relationships and will completely halt any ability to manifest or create. I am here to tell you that if you want to stop this pattern I can help. I want others to feel the success that I have felt in the last few years. I want others to have the courage to reach for a new vocation if that is what calls them. That little kid inside can be soothed and quieted. He/she can become a part of your journey and will be helpful to this process. If this resonates with you please share to all your social networks below. I want to help people no longer feel enslaved by their negative thoughts and not allow other's opinions to slow them down in creating their perfect life. Do you feel that child within crying with hurt and pain? Please contact me when you are ready to make shifts that will sooth and comfort to begin the healing process. How to use Thanksgiving to manifest in 3 easy steps. Do you have Holiday traditions? Are there special recipes that are cooked once a year? Does the family get together and eat like it was their last meal? If you are like most people in the US the answer is yes, yes and heck yea!! We all know the story about the Pilgrims and Native Americans sitting down to a feast after a bountiful harvest. So why is that important today and why make that a holiday? I hear the answers loud and clear. Here in the south it would appear football is king that weekend. Roll Tide!! I just had to throw that in. Are you ready to manifest your deepest desires? Here are three ways to begin that process and what better time than this week to start? Make a list of specific things to manifest this year. We all say I want more money or a better job. I want a new relationship or I want a better relationship with family. I want a vacation this year. This is a good start. The more specific the better. Do yo want to go to Disney World or do you want a specific type of job? What are the character traits you want in a new relationship? I suggest that you list only one or two things for the year so you can be focused and clear. Overwhelm causes apathy and an inability to focus which blocks the manifestation process. For each item on your list get specific about why you want this thing. How will having or doing this thing make your life better? If you can't answer the question of why then manifestation will get stuck right here. Will it give you a sense of freedom? Will it eleviate fear? Will it give you a sense of well being? If you have the answer to those questions write them down next to each thing on your list. The more specific you are the better. On Thanksgiving Day write down what you will feel when those things manifest and then answer this question. What am I grateful for today that already makes me feel this way? Why is this important? Because the Universe responds positively only to positive vibrations. What you focus on expands. If you focus on a LACK of money then a lack of money will be the only thing you manifest. If you focus on all the good things your money has done for you such as putting a roof over your head or turkey in your belly then more of the same will follow. Do you say thanks and really mean it when you find a dollar on the street? Although these actions seem small they are essential to the process of manifesting. How will you use this information to your advantage this week? I would love to hear from you! Please have a safe and wonderful holiday!! Would you like a free session? In just 30-45 minutes you will make a spiritual breakthrough with me at your side for free. Please contact me to get yours now! The holidays are the perfect time to begin your journey of reaching your goals for 2016! I am in awe of the power of the Universe aren't you? The mighty Colorado river created this Canyon. What can the Universe do for you? Bathroom renovation is manifestation at its finest!! Okay so my house was built in 1960. My upstairs bathroom has bugged me ever since we bought the house. It was primarily yellow tile with small brownish tile on the floor. For years I have been plagued with leaks that went through the floor and into the bathroom below which has basically made that bathroom unusable at times. Fast forward to last fall when my oldest daughter was getting in the shower and the floor gave way. Yikes! "Mom there's a hole in the floor". "A what" I asked. I went in and found part of the tile by the tub gave way so there was no doubt it was time for an upgrade. There was only one problem. Where was the money going to come from? This question haunted me everyday as I took my shower and prayed I would not land in the tub downstairs. One evening during class we were going over a process and the teacher said "Focus on what you really want". She had us visualise something we wanted to manifest and put it on a pedestal in our minds. All I could think of was a new bathroom. I didn't focus on money I just focused on my desire for a bathroom renovation and what it would look like when it was completed. Class ended and I went about my normal routine. Jump ahead to February of this year. I got my w-2 and went into Turbo Tax. I had one daughter in Jr. College and I was going through a coaching certification. Low and behold I could deduct both of those costs and my refund was a whopping $6500. I was stunned!! As a single parent with a modest income I had decent refunds but nothing that high. My first thought was my bathroom!! We began renovation in July. I bought all of the fixtures and tiles. I laid out the design and asked the contractor for a labor cost only. The rest as they say is history. Coincidence maybe but the results are undeniable. I focused, took some action and boom a new bathroom!! Has there ever been a time in your life when you didn't know how you were going to handle a certain dilemma and somehow the Universe provided a way for it to happen? This has happened in the past but never on such a grand scale. 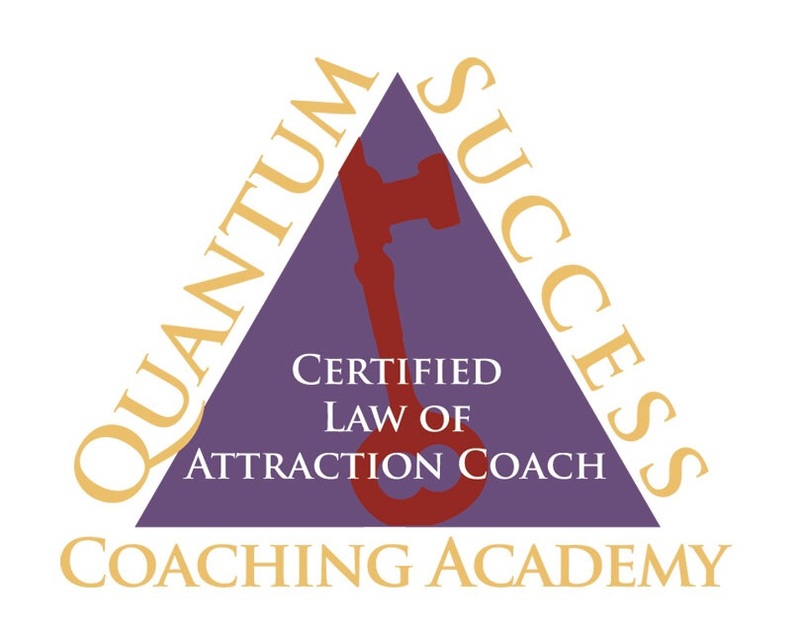 As I have grown from the coaching certification process I am now much more aware of how manifestation works and how the Universe wants us to succeed and have everything that we need. Please leave a comment below if you have experienced the Universe, God or whatever your belief is about divine help being delivered right on time!! $8000 was manifested for this project. My vision was the finished product not the money. Would you like to have a free session? Is your life overwhelming and stressful? Your free session is just an email away! !